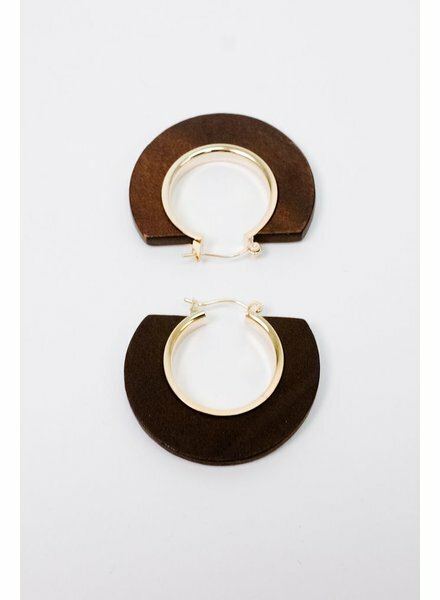 Tan resin interlocking hoops with black circle posts. Measures 3.5 inches in length. 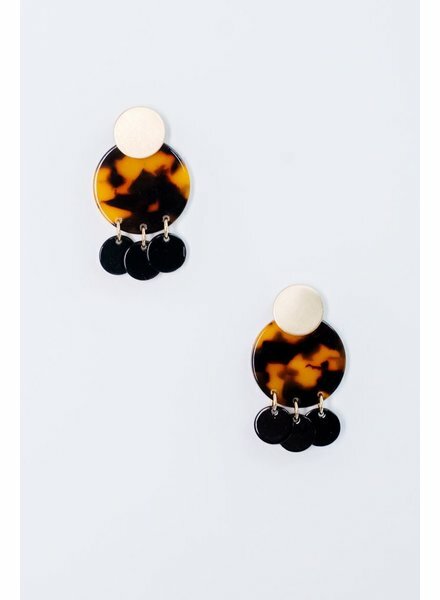 Oversized multi colored trend resin earrings. 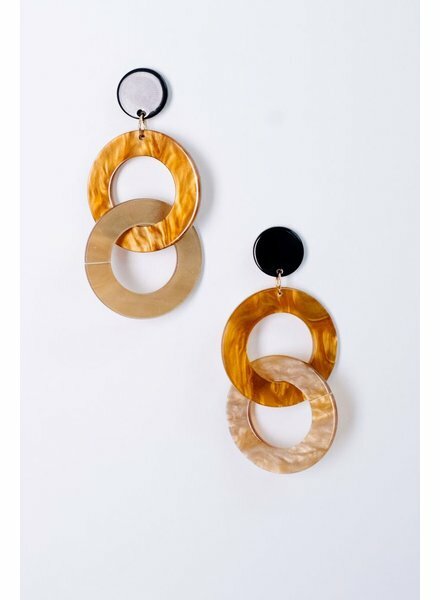 Two-tone natural wood and gold half circle earrings with gold tone posts. 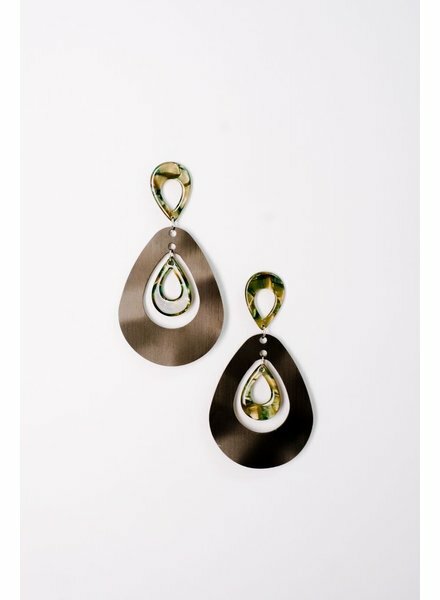 Green two-tone metal and acetate trend teardrop earrings. Measures 4 inches in length. 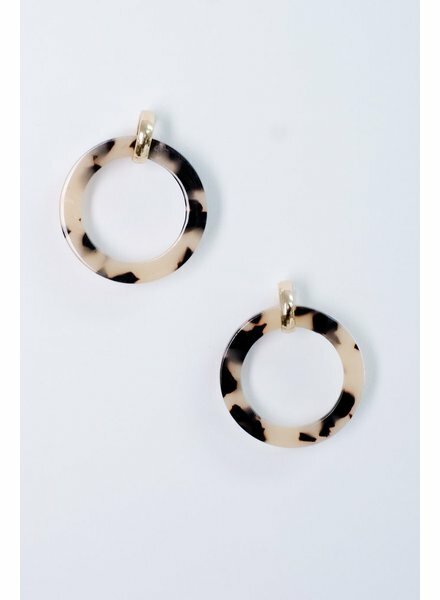 Cream and black tortoise printed hoops with circle gold-tone posts. Very lightweight. 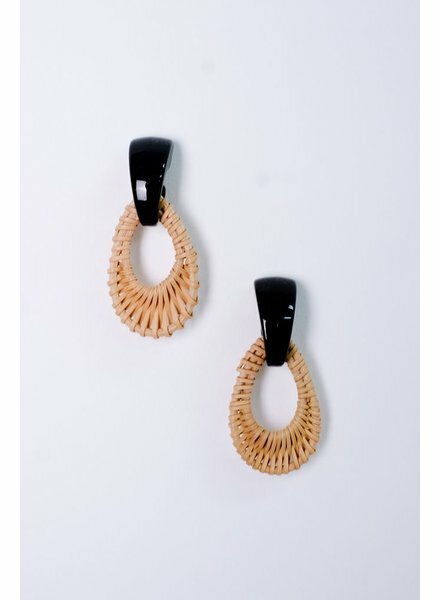 Natural wicker woven teardrop earrings with black posts. 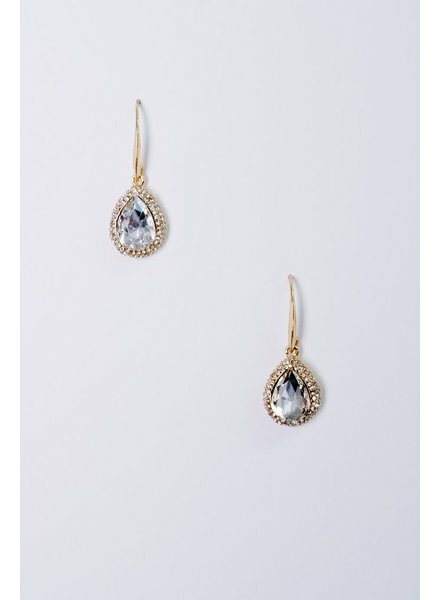 Dangling bejeweled rhinestone teardrop earrings with gold tone posts. 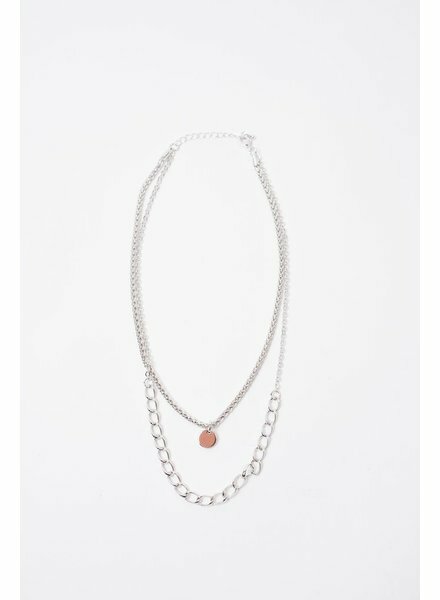 Silver-tone layered multi chain necklace with small dangling disk. Measures 10 inches in length with an optional 3 inch extender. 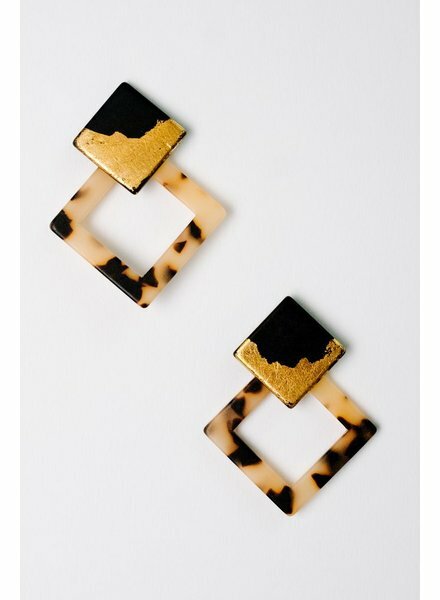 Diamond shape tortoise printed earrings with black and gold two tone posts. 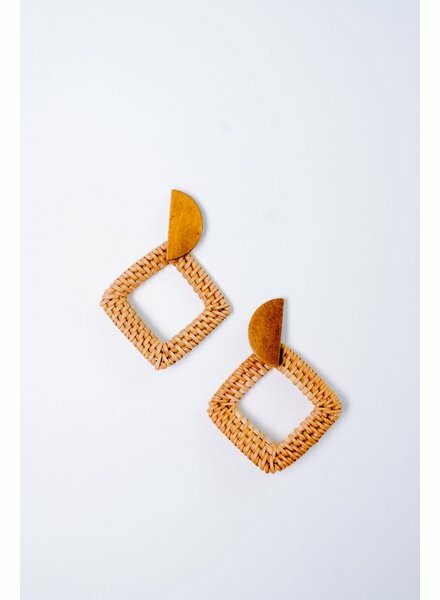 Tan wicker diamond shape earrings with wood half moon posts. Extremely lightweight. 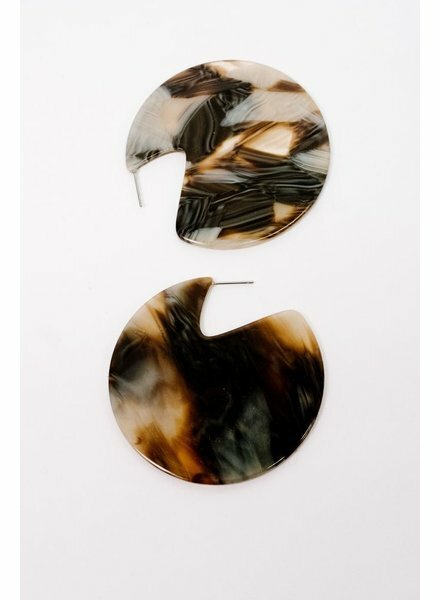 Circle tortoise disk earrings with gold posts and dangling mini black disks. 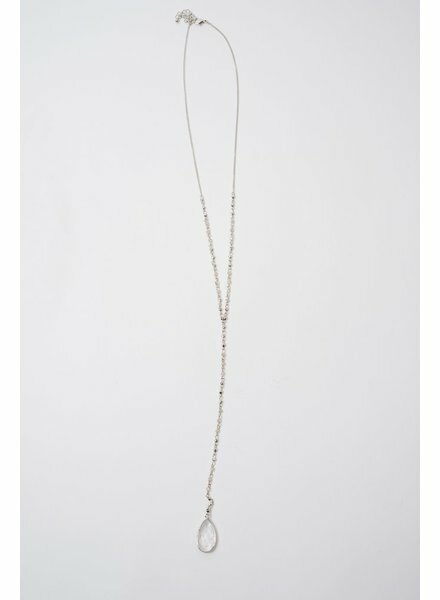 Long silver-tone beaded Y style necklace wtih dangling clear teardrop stone. Measures 23 inches in length with an optional 4 inch extender. 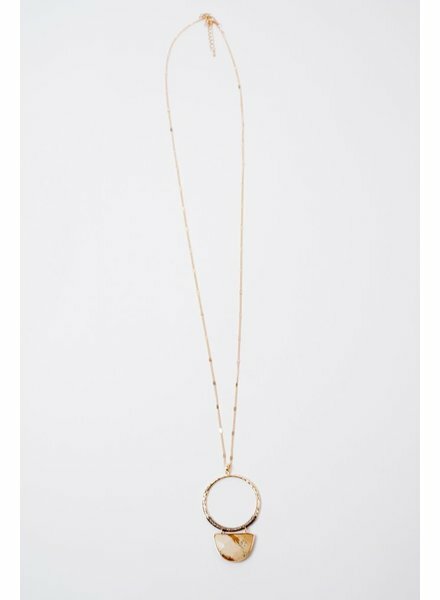 Gold long open O ring trend necklace with dangling neutral tone stone. Measures 21.5 inches in length with an optional 4 inch extender. 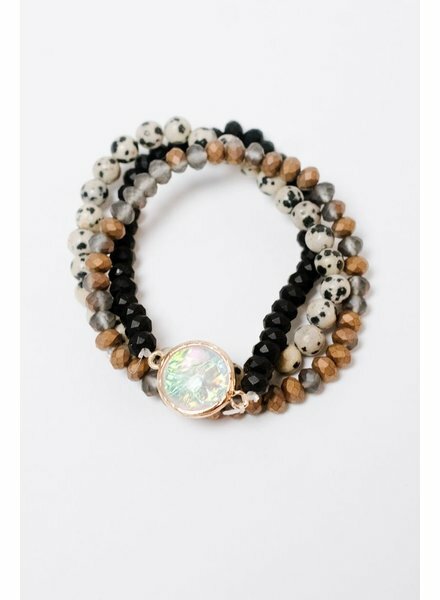 Beaded multi colored 3 set bracelet stack with translucent stone. 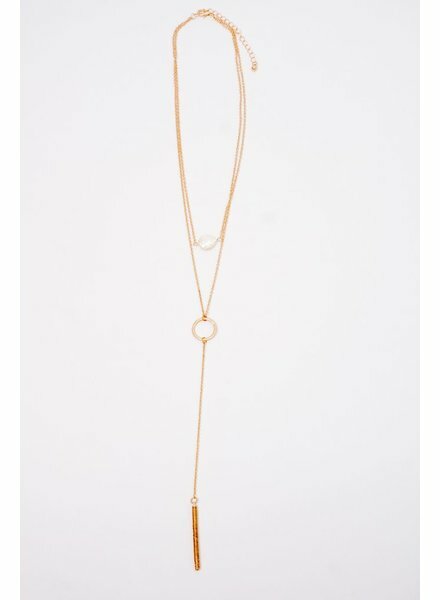 Gold-tone multi layered necklace with dangling pearltone pendant, open O ring and a gold wired bar. Measures 16 inches in length with an optional 4 inch extender. 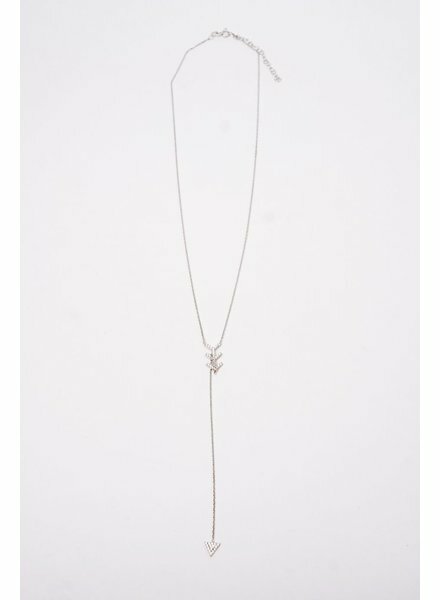 Sterling silver long rhinestone arrow necklace with dangling triangle charm. Measures 13 inches in length with an optional 3 inch extender. 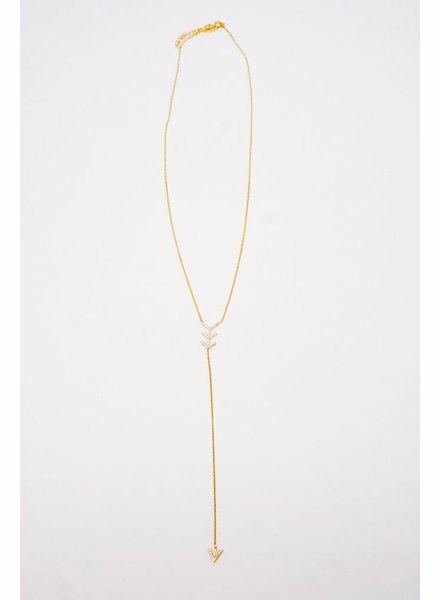 Gold plated sterling silver Y style necklace with rhinestone arrows and a dangling rhinestone charm. Measures 13.5 inches in length with an optional 3 inch extender. 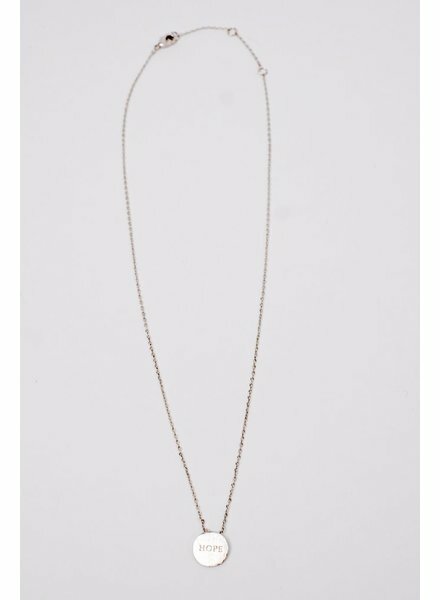 Silver-tone “hope” mantra necklace with small disk charm. Measures 9.5 inches in length with an optional 3 inch extender.